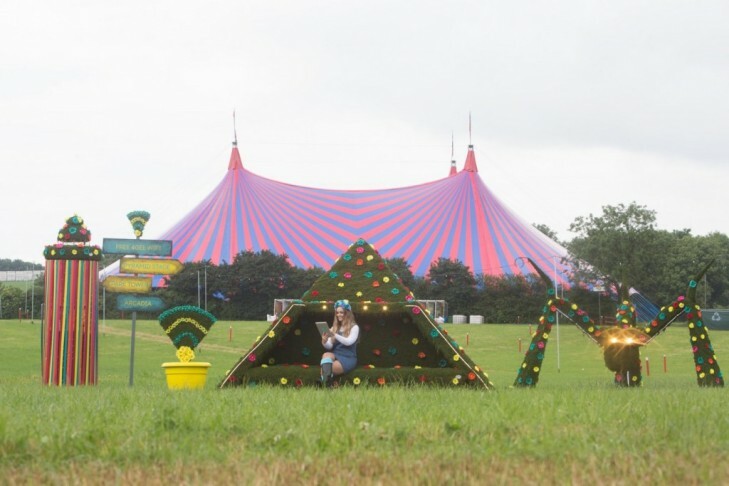 This year we were able to make our own small ‘hedge lining’ contribution towards the unique sensory experience that is Glastonbury when we were invited to collaborate with EE. 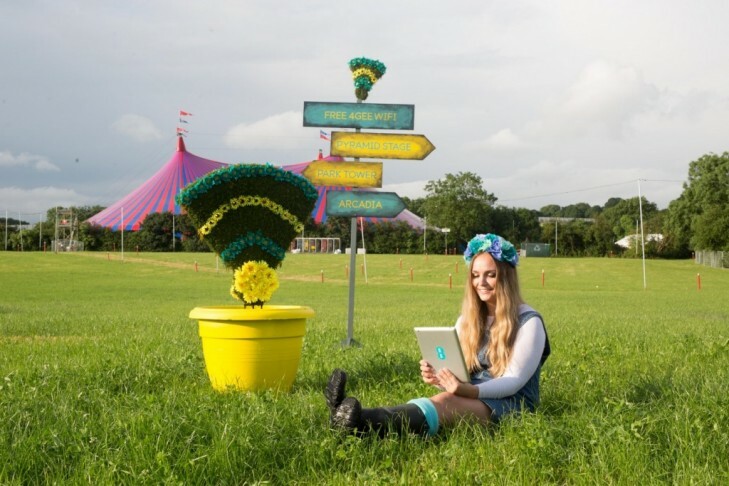 Besides being the UK’s largest mobile network operator, EE is also the Festival’s official communications and technology partner. 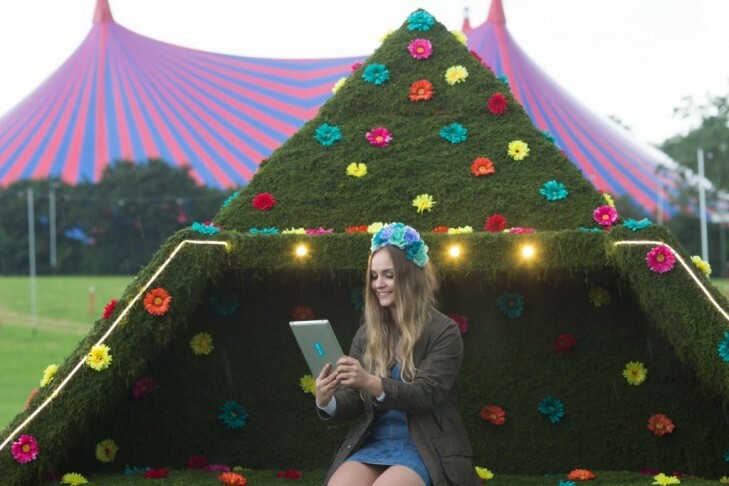 Phone charging is a crucial part of their Festival offering and they turned to us to help make the free to all, on-site 4G ‘hotspots’ eye-catching. 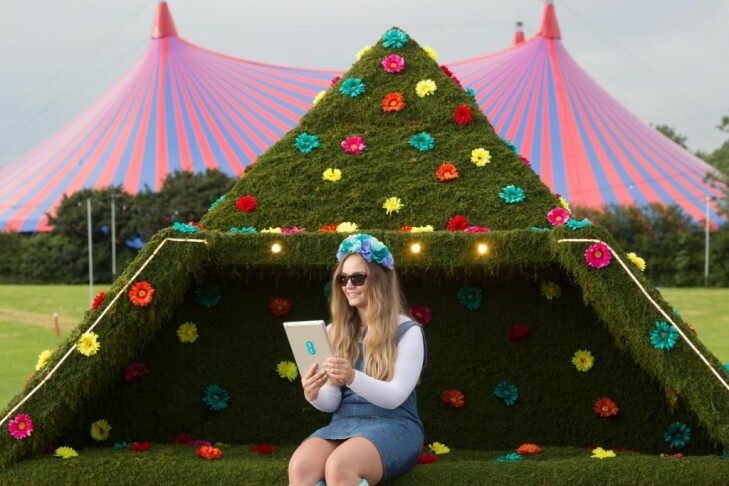 This year EE had doubled their ‘hotspot’ capacity and went all out to give them extra visual appeal too. 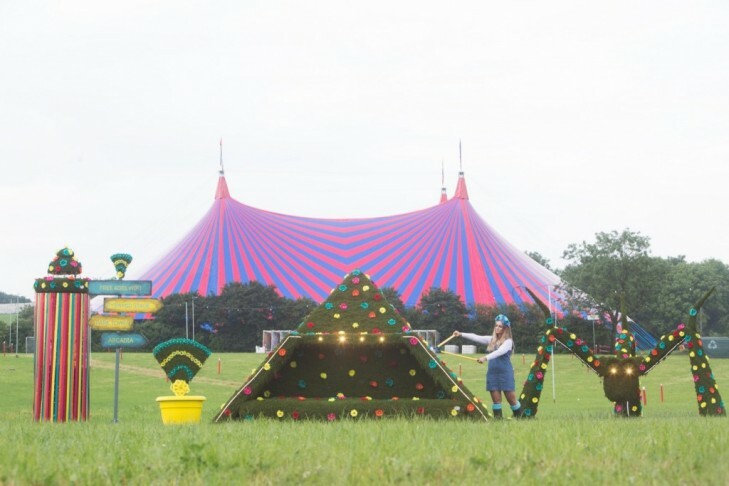 We were commissioned to fabricate a series of topiary installations based on the Festival’s most famous landmarks including the Pyramid stage, Arcadia spider and Park Tower. Each installation provided a cover for 4G technology inside. 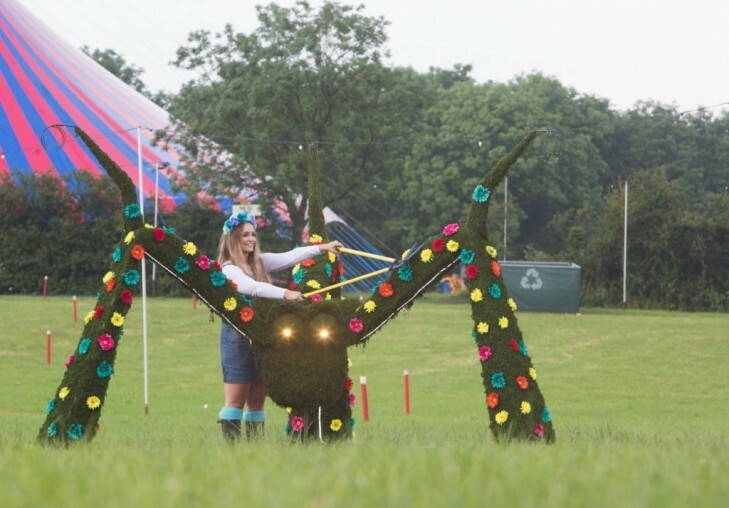 In the spirit of the natural outdoors appeal of music festivals the world over (and Glastonbury in particular) we decorated each topiary piece with brightly coloured silk flowers and ribbons. We added LED lights to keep the facility attractive at night too. Flower power and mobile power combined to make uploading selfies to Instagram, sharing memorable moments via Snapchat, checking in on Facebook and joining the conversation on Twitter easy and fun.